Jim Beckett brought his wife Shirley Beckett. Carl Scott gave the gift card to Scott Stager for taking the club’s 80th Anniversary pictures on Oct 6th and his work in getting them formatted for the Columbia Daily Tribune; they were published in Sunday’s Nov 6th paper in the Pulse Section. Also for his help unloading/packing Koeze nuts orders. None this week; Carl Scott will be the greeter next week. Thank you to all of our club members that helped in unloading the Koeze nuts last Wednesday and putting each individual order together last Thursday thru Saturday. Koeze Nuts – report by Steve Winters. The first order of nuts is at the clubhouse. Please call Steve Winters at (573)999-0619 to pick up your order of nuts and your restaurant gift certificates. See attachment labeled as Koeze nuts pickup.pdf for more details. Koeze Nuts – 2nd orders are due on Tuesday Nov 8 to Ed Harre. Keep on selling as we will have a 3rd order which will be due on Monday Dec 5th. First shipment of Christmas trees will arrive this Saturday Nov 12th at 8:30 A.M. at clubhouse. A sign-up sheet for volunteers was passed around. If any club member can help out this Saturday, please arrive between 8:00 A.M. and 8:30 A.M. Our Soap Box Derby trailers will need to be moved before 8:30 A.M. The MU baseball team has volunteered to help out unloading this Saturday. Need all of the help we can get this Saturday to unload trees. O. Scheffer was asked to contact our mowing company and ask that our lot be mowed this week before Saturday. Red Leighton needs help in delivery of nuts orders this week. Please contact him at (573)449-5677 if you can help him. Spousal Membership Discount of $20 – 3rd reading of this. Motion was made, club voted, and it was approved. Club bylaws will be changed to reflect this. Officer nominating committee for next year will be Carl Scott, Harold Rowe, and Mike Hatchett. Jessica Kempf is creating a new club’s website. Induction ceremony for new club members will be next Monday, Nov 14th. We will induct the following new members: Carl Alden (sponsor C.O. Scheffer), Mike Conner (sponsor Rick McKernan), Mary Dewey (sponsor Carl Scott), Dwight Edwards (sponsor Charlie Langreder), and Sue Musterman (sponsor Ed Musterman). Club will participate in the Almeta Crayton Memorial Toys for Youth Drive again this year; new toys for kids up to age 12. We will have a box at our clubhouse collecting toys during the first two weeks of our Christmas tree sales. Carl Scott will collect them at our upcoming weekly meetings in Nov if anyone wants to bring toys for local youth before our tree lot opens. Security at our tree lot will be discussed at our next Board meeting on Thursday Nov 17th. If any member has concerns about security, please see a Board member before then. New tree lot hours this year: Opening day Friday Nov 25th from 10:00 A.M. to 8:00 P.M.; Mon-Thur from 1:00 P.M. to 7:00 P.M. (a change); Friday 1:00 P.M. – 8:00 P.M.; Sat from 10:00 A.M – 8:00 P.M.; and Sun from 10:00 A.M. – 6:00 P.M.
O. Scheffer is creating the new signup website at signupgenius.com for tree lot volunteers. He will let us know when it is ready to be used. Kids First Optimist Club will be hosting a holiday event on Monday night Nov 14 at Sunrise Optimist clubhouse. Our club has been invited to come. More details will be forthcoming. Columbia College will be hosting the Norm Stewart Basketball Classic on Dec 2-4; this year it will be 48 consecutive hours of high school basketball (24 games) starting at 6:00 P.M. Friday Dec 2 with last game starting at 4:00 P.M. on Sunday Dec 4 consisting of mostly Mid-Missouri schools. First time 48 hours of consecutive high school basketball has been held nationwide. Sunrise Optimist Club will be doing the concession stands for this event. Proceeds will go to the American Cancer Society’s Coaches vs Cancer Program; the program that Norm Stewart started. Tickets are $5 at the door. 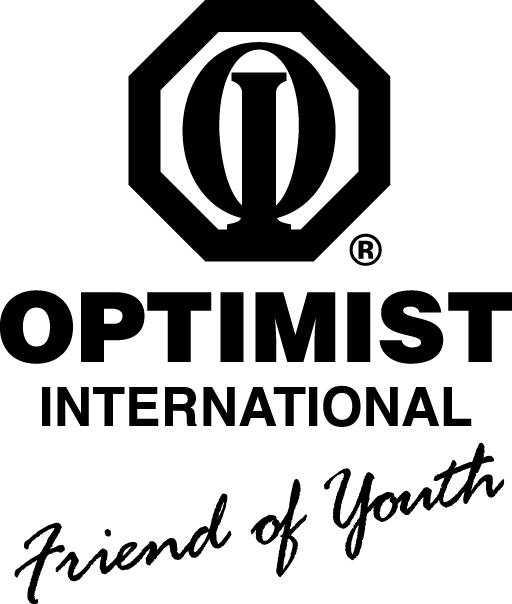 If any interest in getting an Optimist group together, please contact Carl Scott at (573)303-4191. Great family event to go to in early December. Nov 7 – Speakers: Adam Taylor, Assistant Principal and Athletic Director of Battle High School and Mary Flatt, head of Spartan Alliance. Spartan Alliance supports Battle High School’s athletic programs, clubs, activities, and student organizations. Spartan Alliance is their booster club & PTO. Battle High School was named in honor of the late Dr. Muriel Battle. They have 1450 students in grades 9-12. Goal 1 – 90% of all students are passing all of their classes. Goal 2 – Increase the GPA’s of the various subgroups while maintaining high levels of enrollment in honors and AP classes. Goal 3 – 85% of the students will come to school 90% of the time (increase of 14%). Goal 4 – Work toward AVID demonstration status (2-3 year goal). Academic Success – Highest graduation rate in the Columbia Public Schools (95%). Musical – Nov 11-13 at Battle H.S. Class 5 Quarterfinal Football Game at 1:00 P.M Sat Nov 12 at Battle H.S. against Carthage High School. Nov 14 – Columbia Police Chief Ken Burton speaking on issues going on within the CPD. Nov 21 — HyVee Dietitian Hannah Garrad. Topic – Healthy eating habits and HyVee programs serving the community. Nov 28 – Speaker to be announced. Dec 5 – Major Jack Holloway with The Salvation Army.